The US Navy set up a Seaplane Base for flying boats in 1918, at Baker's Point, which is now part of the current base (the museum is not on the air base, it is located before the barrier). The Royal Canadian Navy took over RCAF Dartmouth on 01Dec48 and renamed it HMCS Shearwater. The airfield was used as a land base for carrier aircraft. At present the base is the main maritime helicopter base for the Canadian forces. Grumman A-40 Avenger 85861; the insert shows its condition at the time of recovery. Grumman Avenger 85861 at the Shearwater Aviation Museum’s is one of 4,657 Avenger TBM-3’s built for the U.S. Navy late in the Second World War. Avenger 85861 was manufactured at the Trenton, New Jersey Eastern Aircraft Division plant of General Motors Corporation. Built as a TBM-3E, Avenger 85861 could be distinguished from the basic TBM-3 by the AN/APS-4 radar pod fitted to the underside of the starboard wing. The “dash 3E” was the last Avenger model to be produced in quantity during the Second World War. Avenger 85861 was among the initial batch of 74 Avengers purchased from the U.S. Navy and taken on strength by the Royal Canadian Navy (RCN) in July 1950. Avenger 85861 was destined for a short career in the RCN. On 06August1953, it was scheduled to take part in a practice flypast for the upcoming Halifax naval day celebrations. While climbing to rendezvous with the other participating aircraft, it suffered a throttle linkage failure and was forced to ditch in Bedford Basin. It was officially struck off charge on 16Sep1953 and lay submerged on the Basin floor until June 1972, when it was raised by the Fleet Diving Unit Atlantic as a training exercise. It was subsequently restored by a team of technicians from VT 406 Squadron at CFB Shearwater, and in Oct1975 was presented to the base for display as a gate guardian along Bonaventure Boulevard. As an outdoor gate guardian, Avenger 85861 unfortunately suffered severe deterioration from the corrosive maritime weather. To preserve the aircraft permission was granted in 1999 to move 85861 to unused space in one of the 12 Wing hangars where it could be protected from the elements. In March 2005, when hangar space was no longer available Avenger 85861 was moved into the museum. The HO4S-3, serial Number 55885. This 'Horse' was delivered to the Shearwater naval air station on 31 August 1955 and was initially assigned to Anti-Submarine Squadron, HS-50, where the assigned squadron number, a large day-glow orange '7' was painted on the nose and sides of the aircraft. On 26Nov1956, No. 885 was reassigned to Utility Squadron, HU-21, where, by coincidence, it also was assigned squadron number '7'. In addition to its normal training and transport duties, No.885 was involved in at least 7 rescue missions saving upwards of 20 lives. These missions ranged from hovering over two burning aircraft to blow the flames away from the cockpits, thereby enabling the Shearwater rescue crews to remove the pilots, to rescuing four crewmembers whose Tracker aircraft had bolted over the side of HMCS Bonaventure into the sea, in a landing mishap. McDonnell F2H-3 Banshee, serial number 126402, is one of 39 Banshees purchased from the US Navy. Banshee 126402 arrived at Shearwater in March 1957 and was flown by VF 870 Squadron from Shearwater and the aircraft carrier HMCS Bonaventure . The Banshee was an all-weather fighter, which primarily provided air defence for the fleet. It was retired from the Navy in September 1962 and donated to the Shearwater Aviation Museum. This aircraft was displayed outdoors until 2000, where it deteriorated in the corrosive maritime weather. Tracker 1557 (12157, c/n DHC-56), which is still in airworthy condition, represents the latest version of the Tracker flown by the Canadian Forces. After building 42 CS2F-1's, deHavilland switched production to the CS2F-2 with improved Magnetic Anomaly Detection (MAD) and radar systems and minor airframe refinements. The first of 57 CS2F-2's entered service with the RCN in January 1960 and gradually replaced the older CS2F-1's. The RCN developed further improvements to the Tracker, which resulted in Fairey Aviation substantially modifying 45, CS2F-2's that were designated CS2F-3's, the first of which was delivered to the RCN in July 1966. The CS2F-3 featured a new Tactical Navigation System, doppler radar, improved Jezebel and Julie submarine detection systems and an analogue computer to automatically integrate information from the Tracker's anti-submarine sensors. Tracker, number 1557, was modified from a CS2F-2 to a CS2F-3. After service integration in 1968 Tracker 1557 was re-rolled as a Maritime Reconnaissance aircraft and redesignated from CS2F-3 to CP-121. Consequently, in keeping with the Canadian Forces (CF) practice of incorporating the digits from the aircraft designation into the serial number 1557 became 12157. Tracker number 1501 (c/n 428) is especially noteworthy because it is the first Tracker built for the RCN. It actually started as a US Navy Grumman-built S2F-1 purchased by deHavilland Canada to verify the fidelity of the production jigs and tooling supplied by Grumman. Following its pattern verification role the aircraft received the serial number X-500, the 'X' indicating its test function and '500' being a contraction of its interim RCN serial number 1500. The X-500 was accepted for the RCN on 13Dec1954 and was used for testing a wide variety of avionics and anti-submarine systems both at deHavilland (Toronto) and the National Aeronautical Establishment at Uplands (Ottawa). 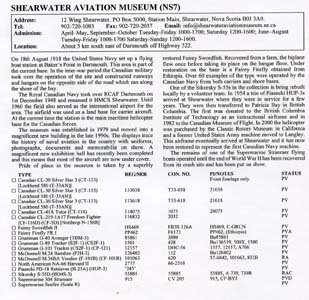 Tracker 1501 is currently being refurbished by the Shearwater Aviation Museum. The above information was learned from the museum's website, but avid aviation historian Aad van der Voet corrects this: "RCN 1501 is not c/n 428, even though it is widely quoted as such (by Ogden and others). C/n 428 (Bu136519) was indeed loaned to the Royal Canadian Navy for their CS2F program, but it only flew with them for one year (Sep56 to Sep57), after which it was returned to the US Navy and continued to serve in Japan during the 1970s. During its time with the RCN, 136519 kept its US Navy markings and serial, and it was never issued a Canadian serial. Unfortunately the actual identity of RCN 1501 is not known. Some sources say that it was built by Grumman and delivered as a complete aircraft with minimal instrumentation, but other sources say that it was assembled by deHavilland of Canada from components supplied by Grumman. If the latter was indeed the case, it may never have been allocated a Grumman c/n or a BuNo." I had been looking forward to see a rare Supermarine Stranraer (915, c/n CV205), but this was all there was! "I see you were looking forward to seeing the Supermarine Stranraer 915 a while back! Well, I just found another photo for you (misidentified as a PBY)! There's another one in the background that appears to be identified as FY-K, but I'm not certain of the number. It seems Stranraers 912 and 915 were assigned FY-A and FY-B, but beyond this, I don't know. I've written the archives to update their description. Hopefully that will happen one day! The CT-133's on display at the Shearwater Aviation Museum are two of the 656 CT-133's built for the Royal Canadian Air Force (RCAF) by Canadair in Montreal in 1953. In 1954 the RCAF gave the Royal Canadian Navy the first of 16 CT-133's to assist the Navy in preparing for the arrival of the Banshee jet fighter. The Museum's two CT-133's are painted in different paint schemes representing the first and last eras of the CT-133 at Shearwater. The first CT-133, serial number 133038, is finished in a natural aluminum silver with tip tanks, nose and tail painted red for high visibility. This aircraft with Royal Canadian Navy markings is typical of the paint scheme of the CT-133 when it was flown by the Navy at Shearwater in the 1950's and 1960's. The Navy used the CT-133 for pilot proficiency training and towing targets. A second CT-133, serial number 133618, described as finished in low-visibility camouflage gray typical of the paint scheme when the 'T- Bird', was not on display during my visit. The identity of this remainder of a CT-133 is not known. The CT-114, serial number 114075, is one of 190 Tutor training aircraft that was acquired by the Royal Canadian Air Force in 1963. The CT-114 was primarily based at Moose Jaw, Saskatchewan where the Air Force conducts the majority of its pilot training. The Harvard on display here at the Shearwater Aviation Museum is one of more than 17,000 Harvards built by North American Inc. aircraft factory in Inglewood, California. It was built as a Mark II version, allocated Serial No. 2777 and subsequently taken on strength by the Royal Canadian Air Force (RCAF) on 14 January 1941 as a pilot training aircraft. Harvard 2777 (c/n 66-2510) served out the remainder of the war at No. 6 Service Flying Training School (SFTS) at Dunville ON, a British Commonwealth Air Training Plan (BCATP) station. Following cessation of hostilities in late 1945, 2777 went into storage at Dunville, but was put back in service in August of 1950 when it was assigned to the RCAF’s 9403 Regular Service Unit where it supported 403 (Auxiliary) Squadron at Calgary, Alberta. Swordfish HS469 was delivered to the Royal Navy (RN) at Royal Air Force (RAF) Station Manston in February 1943. This Swordfish was flown by RN 841 Squadron while seconded to the RAF Coastal Command on English Channel operations and thence on to Royal Naval Air Station Lee-On-Solent in April 1943, where it was disassembled, crated and shipped to HMS Seaborn, a Royal Naval Air Section tenant unit at RCAF Station Dartmouth N.S. HS469 was reassembled at HMS Seaborn and test flown 12 July 1943 by Lieutenant Richard S. Bunyard RN. It was transferred, on 28 August 1943, to RN 745 Squadron, which provided aircraft to Number 1 Naval Telegraphist Air Gunner School (TAGS) at RCAF Station Yarmouth N.S. as part of the British Commonwealth Air Training Plan (BACTP). In August 1944, HS469 was involved in a runway undershoot incident. During 1944 while at Yarmouth, HS469, originally a Mk. II, underwent modification No. 408 to enclose the open cockpits with a canopy, thereby converting it to one of the 59 Mk. IV Swordfish operated by the School in January 1945. On 2 August 1945, the Swordfish was transferred to the RCN and retained its HS469 identification, but according to regulations at the time was registered on RCAF inventory. The RCN announced in July 1946 that the Swordfish were finally being withdrawn from service, although some aircraft were dispersed throughout Canada for ground training purposes. HS469 was stuck off strength on 17 August 1946 and disposed for scrap in Ontario. 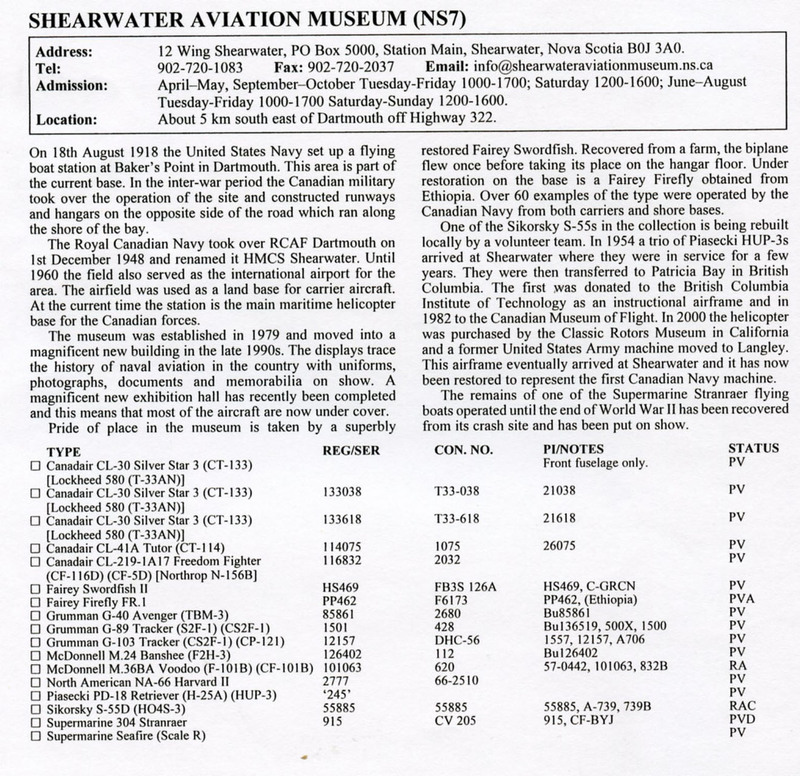 This Eastern Air Command exhibit is the Shearwater Aviation Museum's millennium project for which it received a Department of National Defence grant. 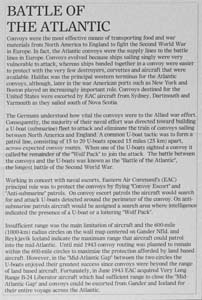 The aim of the grant was to help preserve a segment of our nation's maritime aviation heritage, particularly those global events that influenced the development of RCAF Station Dartmouth (now Shearwater) and the role of Eastern Air Command (EAC) and its historic involvement in the "Battle of the Atlantic". The wooden banister around the exhibit and the wooden ladder used by the staff to move the symbols on the map are the original furnishings removed from the breifing room where senior EAC officers directed the Battle of the Atlantic. the mannequins wearing RCAF uniforms that were typical of the 1940's era represent members of the operation staff that assisted the senior officers. The map is a replica of the wall map used in EAC Headquarters at the corner of Barrington and South Streets in Halifax during the Battle of the Atlantic. The museum staff salvaged the original Mercator map before the EAC Headquarters building was razed in 1998. However, the costs to restore the proved to be prohibitive and the replica became a more affordable option. The scale of the replica is almost identical to the original with the major differences being that space limitations caused three degrees of latitude (180 miles/300km) to be omitted from the top and six degrees of longitude (275 miles/460 km) omitted from the right side. Royal visitors: Prince William and his newly-wed wife Kate (a.k.a. Catherine) visited (?) Shearwater in July 2011. Actually I am not sure if they visited Shearwater as Wikipedia's 2011 Royal Tour describes a flight in a helicopter and a water landing, this was not actually at Shearwater, but: "..before William took part in a training session for the 'waterbird' emergency landing procedure in a Sea King helicopter at Dalvay-by-the-Sea." The Fairey Firefly FR.1 PP462 was missing from the exhibition and I was told it was in a shed 'up the hill', all taken apart, not worth showing at the moment. No, I couldn't have a look. 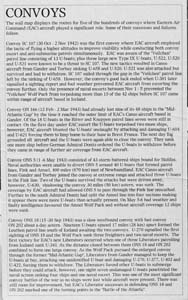 Compared to the list by Bob Ogden I did not see a 2nd CT-133, serial 133618, nor Canadair CF-5, 116832. The museum's website shows a photo of McDonnell CF-101B 101063, I didn't see it but it may have been on display behind the building; I didn't look.